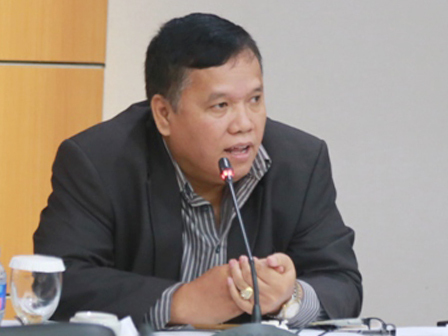 Jakarta Jakarta Goods and Services Procurement Agency (BPPBJ), is hoped to prioritize domestic products for the procurement of goods submitted by regional working units (SKPD).
" The control role of each SKPD that will do the expenditure, needs to be improved"
The statement was conveyed by member of Jakarta DPRD's Commission C, Manura Siahaan, during the discussion on 2018 General Budget Policies and Provisional Budget Ceiling and Priorities (KUA-PPAS) at City Council building, Wednesday (11/8). "The control role of each SKPD that will do the expenditure, needs to be improved. The economy in our region must grow," he expressed. Responding on this matter, Jakarta BPPBJ Head, Indrastuty Rosari Okita uttered that his party had applied e-catalog on the procurement of goods and services auction that has the competitiveness of domestic products. "For construction services, we're in the process of competitive e-catalog. E-catalog becomes increasing competitiveness efficiency. If the competitiveness increases, it will influence auto competitive," she closed.